Groups with unread mentions and replies are now marked with an '@' badge in the chats list. Navigate new mentions and replies in a group using the new '@' button. Mark stickers as Favorite to quickly access them from the redesigned sticker panel. 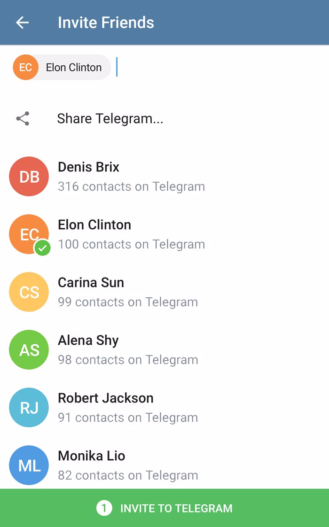 Invite friends to Telegram using the new streamlined interface. Add an official sticker set for your group to be used by all members without adding (100+ member groups only). Numerous design and UI improvements. Luckily, the folks at Telegram write up some nifty blog posts for each major update. So we'll break it down. The first thing is the new mentions and replies in groups. Since each one can have up to 10,000 members, it could be very easy to lose track of all the messages that involve you. There will be a new "@" section in the chatroom that will appear when you have new mentions or replies, and it will go away when you've read them all. Stickers are getting two interesting features. Groups can set a pack as the official one that all members will see and be able to use when in the chatroom, versus having to install the preferred ones separately. Individual users with five or more sticker packs installed can set favorites now, which will show up in a new star menu for much quicker access. Good, I like getting to my Geralt of Rivia stickers faster. The Invite Friends menu is getting a UI refresh. 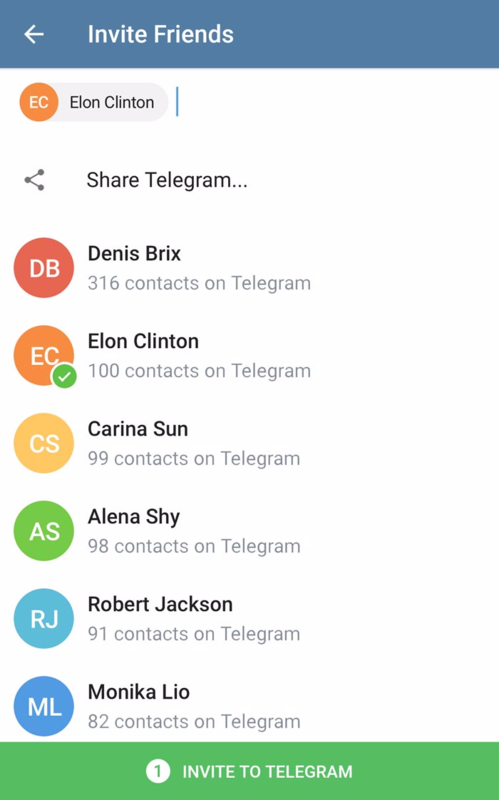 Basically, think of it as a "mutual friends" feature; invitees with contacts already on Telegram will appear at the top of your list. Neat, I guess. Finally, Twitch videos are now supported in the in-app video player (including PiP support), voice calls will display a strength indicator in the UI, messages can be forwarded to multiple recipients, and you can jump to the section in the chat where photos in the Shared Media section first appeared. 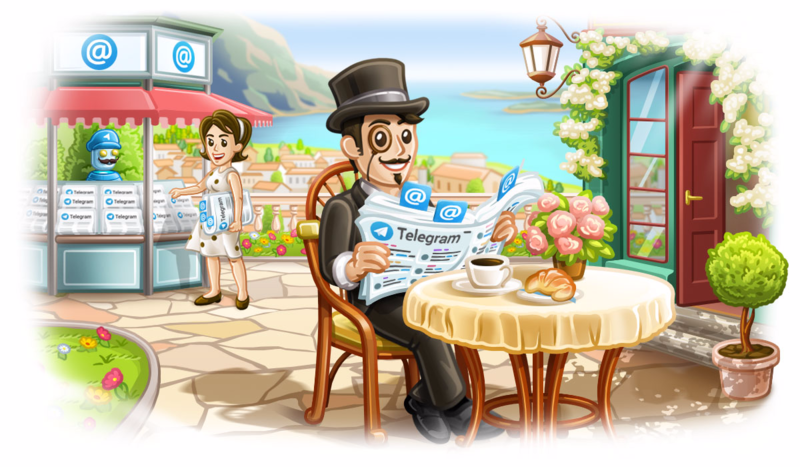 If you still haven't checked out Telegram, I urge you to do so. It continues to get better and better, and I'm sure that will be the case for some time to come. The update should be live in the Play Store, but you can grab it from APK Mirror if you'd rather go that route.